Source: free wallpapers at antemortemarts.com. Red, yellow, orange, and gold. An explosion of vibrantly bright colours that are infused with tendrils of smoke, and which soon turns into the browns of smoky oud. The beauty that is saffron showcased in two ways: sweet and dry, gourmand and woody. 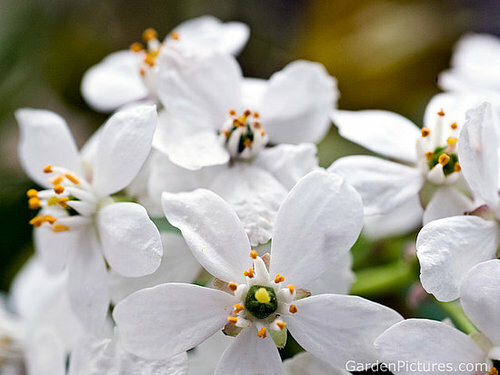 And the richness of an ancient attar as a common thread between the two. They are Al Mas and Asrar, “The Diamond” and “The Secret,” from the royal perfume house, Amouage. I was lucky enough to have the opportunity to try these two, lesser known Amouage attars, thanks to the kindness of a reader of the blog, “Dubaiscents,” who generously sent me a sample of each. I was surprised by how the two attars seemed to be mirror opposites of each other, showing two differing approaches to the traditional Middle Eastern combination of saffron and oud. (Attars are concentrated perfume oils, and if you’d like to know more about the millenium-old process by which they are created and how they differ from essential oils, you can read the brief explanation in my review of the glorious Tribute attar.) Both Al Mas and Asrar are simple attars that are well-done, and which I thoroughly enjoyed testing, but neither one really sings loudly to me. roses, oriental spices, saffron, amber, musk, sandalwood oil, oudh wood oil and cedarwood. The first few seconds of Al Mas on my skin are a little similar to the glorious Tribute attar, only without the tarry birch and its loads of dark smoke. The impression of a gourmand version of Tribute lasts but for a few moments, however, as the fragrance quickly turns into every delicious Middle Eastern saffron dessert imaginable. There are gallons and gallons of sweet, syrupy saffron and rose, followed by amber, musk, and the most delicate hints of oud. 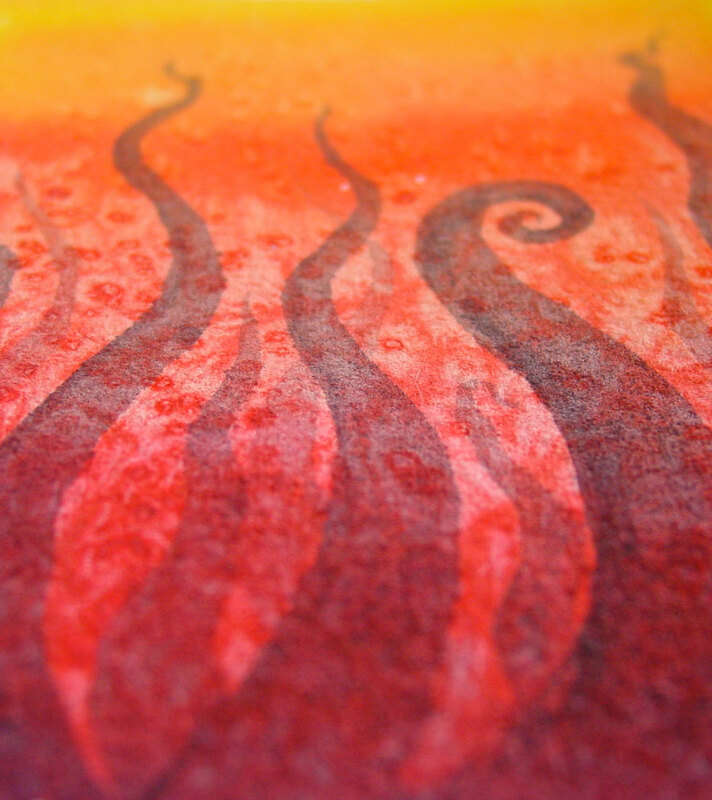 The saffron dominates, turning everything in its path into visions of fiery red, gold, orange, and bright custard yellow. The syrupy, sweet rose follows suit, combining with the saffron to add to the overall impression of a rich Middle Eastern pastry or dessert. 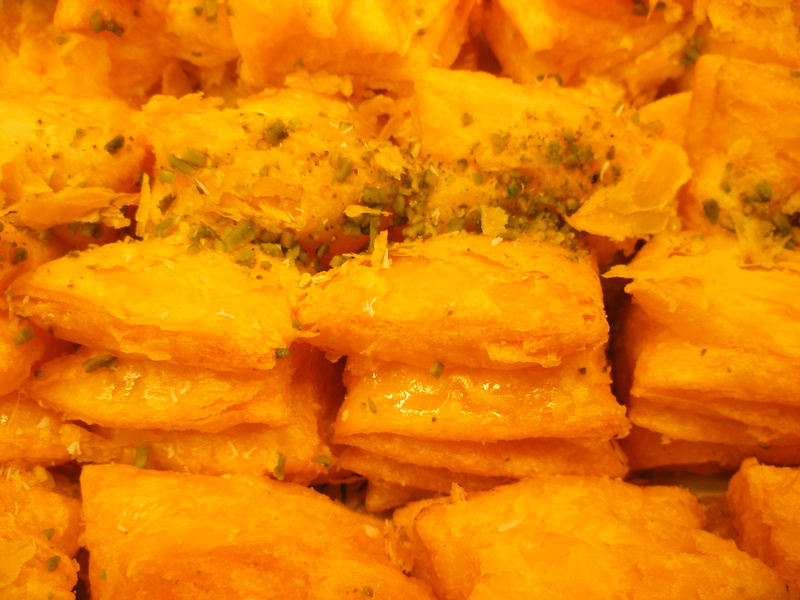 If you’ve ever had Persian Sholeh Zard or Zoolbia, Indian Phirni or Kheer, Lebanese Riz B Haleeb with saffron, or any variety of syrupy, saffron and/or rose-infused pastry from Egypt to Turkey, you’ll have some idea of both the visuals and the feel of Al Mas. Yet, the attar isn’t completely and wholly a foodie’s saffron fantasy. There are delicate whiffs of a very nutty, warm, mellow sandalwood and sweetened oud which flicker at the edges, along with the merest hints of a peppery cedary and musk. A subtle smokiness curls its tendrils around the far edges, sometimes feeling more like the suggestion of frankincense than anything sharply concrete. Five minutes in, Al Mas turns profoundly nutty and honeyed. I almost expect to see pistachios and nuts sprinkled on top of the saffron rose. A powerful layer of treacly, gooey, thick honey quickly infuses the duo, overwhelming the hints of smoky incense and adding to the impression of Middle Eastern desserts. Whatever mild, momentary resemblance there may have been to the Tribute attar in the opening minute is long obliterated under the tidal wave of sweetness. The sweetness in Al Mas impacts the rose, turning it deeper, sweeter, and quite fruity in its syrupy heart. The fruitedness really makes me wonder if there is a very dark, purple patchouli at play in Al Mas as well. I would swear that there is the subtlest, tiniest hint of raspberries underlying the scent, and it’s hard to shake off for much of the first hour. Around the 90-minute mark, Al Mas shifts and changes. It suddenly turns much drier, and starts to hover closer to the skin. The smoke has increased, as has the oud, countering the sweetness in the fragrance with an equal amount of smoky woodiness. With every passing hour, the syrupy, gourmand elements in Al Mas weaken, and the oud-frankincense combination grows in strength. The fragrance turns into a skin scent about 3.5 hours in, wafting a sheer, delicate gauzy veil of oud smoke with nutty, sweet saffron and a touch of rose. Al Mas feels quite thin in comparison to that extremely heavy, rich, almost unctuous start. I actually applied far more of Al Mas than I did of Tribute, but the latter was a profoundly richer, deeper, stronger, and more nuanced scent with far less. Al Mas, in contrast, is much simpler in nature, and primarily limited to a smoky oud-with-saffron combination despite using almost double the amount (4 small drops). I’m a little surprised by how quickly the rose element faded away on my skin; by the start of the fourth hour, it’s largely disappeared. Soon, Al Mas is nothing more than wispy oud with saffron and, 7.5 hours into its development, it dies completely. Al Mas isn’t listed on the Fragrantica site, and I can’t find any blog reviews for it except for one. Over at The Perfume Posse, a reviewer called Musette writes about the attar but I find myself somewhat confused by her assessment. She talks about the fragrance’s lightheartedness with geranium, clary sage, and lily of the valley! She also says: “The notes (courtesy Surrender to Chance) are counterintuitive to what I deemed ‘attar’ : orange blossom, lemon and rosemary; middle notes of lily of the valley, geranium and clary sage; and base notes of sandalwood, oak moss and musk.” None of those notes are what are commonly attributed to Al Mas or, even, what is currently listed on Surrender to Chance’s entry for the perfume oil. There must be some sort of mix-up in attars, and in the sample she obtained. Either that, or my nose is completely wonky because I swear I don’t smell a whiff of anything remotely “light-hearted,” green, and white in Al Mas. On me, the attar is primarily saffron and rose, and then, later, smoky oud and saffron. Interwoven with golden hints of, the plot of Asrar, whose name in Arabic means “Secrets”, is decorated with notes, as if by magic, they appear under the nose an oriental garden nestled between Dream and Reality. 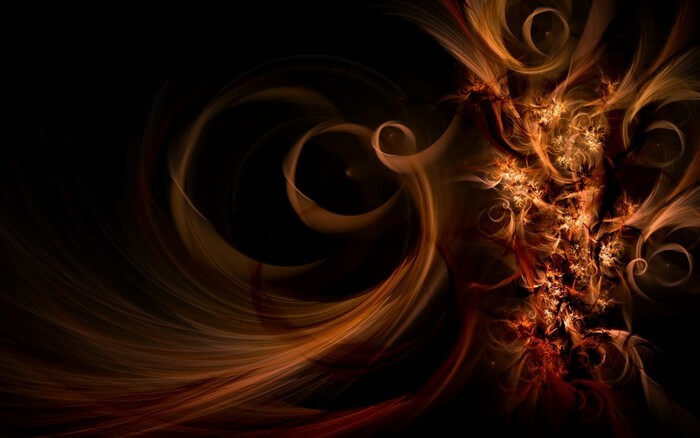 […] A touch of saffron, a handful of spices, four drops of amber, musk, and then a puff of a distillate of Oudh, the bark of an infusion of exotic wood and sandalwood. oud, oudh distillate, rose, amber, frankincense, musk, saffron, orange blossom, sandalwood oil, and moss. Asrar opens on my skin with a powerful blast of fiery saffron that is so rich, it feels almost buttered. It’s so buttered and hot, in fact, so hot and buttered, that I almost expect a plate of Basmati rice to ensue. Moments later, other elements appear. There are subtle whiffs of burnt orange, smoky orange, and sweet, buttered orange with saffron, but they are very brief. Equally light and muted are the flickers of rose and frankincense which lurk below. 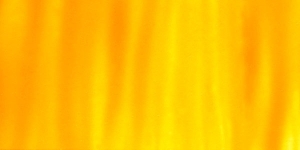 The main, primary focus, however, is that strong blast of saffron. It differs from the note in Al Mas where it is wholly gourmand in feel, because, here, the saffron is a little bit smoky, a touch woody, and infused with a burnt element. There is also something oddly chilly about the bouquet, a flicker of something almost mentholated that perplexes me. It’s not like eucalyptus or like medicine, but just barely floral in suggestion. My guess is that the indoles in the orange blossoms have been concentrated to such an extent that they’ve taken on a vaguely icy feel. It’s hard to explain, but there is a surprising, subtle coolness to Asrar that sharply counters the hot butteriness of the saffron. Yet, on my skin, it never translates at any point to orange blossoms — and I tested Asrar twice. The attar also doesn’t feel even remotely orange-y, despite the initial, disappearing whiffs in the first minute, so my skin obviously muted the note for the most part. It is another flower, instead, which dominates the first hour of Asrar on my skin: the rose. It makes its debut about five minutes in, and it’s another syrupy, sweet, slightly jammy rose that feels a little bit fruited in its richness. Like everything else, it is flecked by the fiery, heavy saffron, and the two notes dance a solitary tango for most of the first hour. The agarwood and its smoke slowly become more and more prominent, taking over the buttery heaviness of the saffron and cutting it with dryness. Around 2.75 hours into Asrar’s development, the fragrance is primarily smoky oud with saffron. The rose has retreated a little to the periphery, and there is the start of a slightly medicinal edge to the wood notes. By the end of the fourth hour and the start of the fifth, Asrar is primarily an oud scent that is simultaneously dry, a little smoky, and a little medicinal. 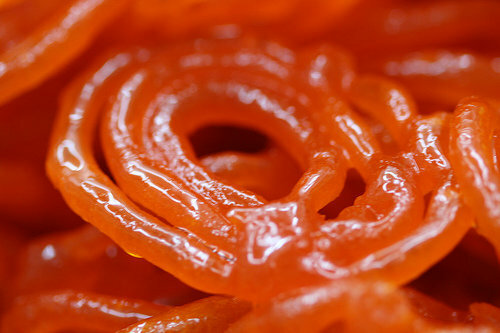 There are quiet undercurrents of saffron underlying it, and the whole thing sits right on the skin. Asrar remains that way until its very end when it’s nothing more than dry, somewhat medicinal oud with smoke. All in all, the attar lasted just short of 8 hours on my skin, and had generally soft sillage. The combination of orange blossom and rose smells very familiar and friendly, but the oud and the saffron give a medicinal edge to it. It’s also very spicy, it almost feels “hot” in the nose! Absolutely unisex and in my humble opinion better than Homage or Tribute. The combination of warm top-notes and a mysterious, almost fierce base is totally stunning! The fact that all six Fragrantica and Basenotes commentators had such widely divergent experiences is interesting to me. Obviously, skin chemistry plays a key role, but I think it’s also a question of the personal experiences through which one’s nose filters the powerful saffron note. For some, it will translate as too sweet, for others, it will be a comforting scent with some foodie associations. Ultimately, how you feel about Asrar may depend on the extent to which the florals and the oud (with its medicinal undertones) come out to counter the warm, fiery, buttery richness of the saffron. I enjoyed parts of Al Mas. I thought the opening was delicious, perhaps because I love saffron enough to counter my usual issues with foodie or dessert fragrances. The rose and the subtle, brief hints of sandalwood were very nice, too, but at the end of the day, the fragrance isn’t really me. On the plus side, however, Al Mas is significantly and substantially cheaper than Amouage’s better known attars like Tribute and Homage. You can find the smallest size starting at $151, which is a few hundred dollars off Tribute’s opening price of $370. If you love saffron, gourmand fragrances, or ouds that eventually turn dry and smoky, Al Mas is definitely worth checking out. As for Asrar, I didn’t fancy it quite as much. On my skin, the saffron felt like a woodier, drier, less gourmand, but significantly more buttery-hot version of the note in Al Mas. I wish I had experienced the orange blossoms, but instead, there was the oddly medicinal edge to the fragrance that isn’t my favorite aspect of agarwood. As a whole, I don’t think my skin chemistry highlighted the prettier aspects or nuances of Asrar, since it seems quite lovely on others. As a whole, both perfumes are well done, though quite simple and uncomplicated in nature. They’re also on the more affordable end of the scale for an Amouage attar, relatively speaking. Though they share some overlap in notes, Al Mas and Asrar feel very much like mirror opposite interpretations on saffron and oud, with one starting on a gourmand note before turning woody and smoke, while the other is more fiery and buttered before engaging in a similar transformation. The oud accord is different in each, as is the floral undertone, so both Al Mas and Asrar may be worth a sniff for different reasons. Cost, Availability & Stores: Al Mas and Asrar are concentrate perfume oils, and come in two sizes: 12 ml and 30 ml. Neither one is sold in the U.S. nor available directly from the Amouage website, but you can find them easily from various online retailers. The cheapest price comes from the Dubai perfume site, ASF-Dubaishop. Al Mas costs $151 for the 12 ml bottle, and $226 for 30 ml. Asrar or Asrer costs $207 or $307, depending on bottle size. The prices for Al Mas are higher at Kuwait’s Universal Perfumes which sells a 12 ml bottle of the “new version” (whatever that means) for $259.99. 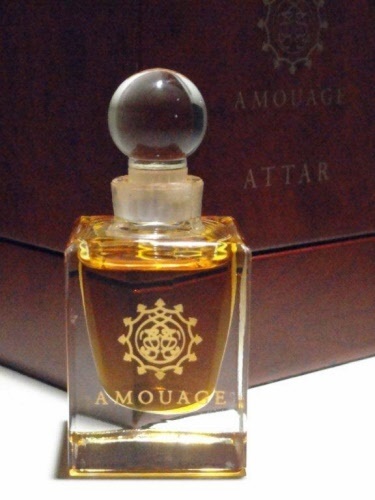 The Amouage attars are also sold at a slightly higher price at Zahras Perfumes, with Al Mas costing $175 and $325 respectively, and Asrar priced at $190 and $350. I found Asrar at a European online vendor called Profumeria Pepos which sells the attar for €168 for a 12 ml size. Italy’s All Violette sells several Amouage attars. Asrar is priced at €169 for 12 ml, though I’m not sure if it is currently in stock, along with a sample of Asrar for €20. Kuwait’s Universal Perfumes sells Asrar for $299 for a 30 ml bottle. 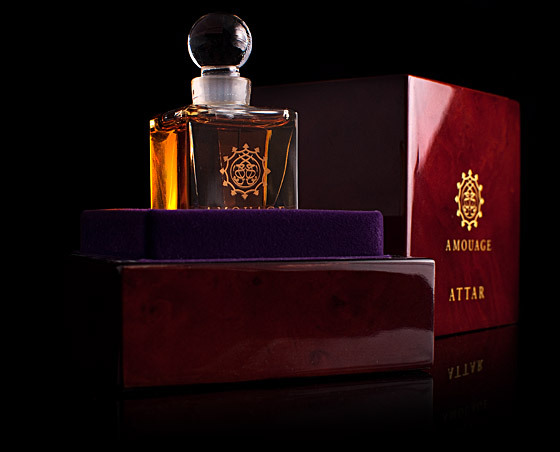 In terms of other vendors, I assume you can also find the attars at the Amouage boutique in London, and possibly at Roja Dove’s Haute Parfumerie in Harrods, but that is just a hopeful guess. Samples: Surrender to Chance sells samples of Al Mas starting at $10.99 for a 1/4 ml vial, while Asrar starts at $13.99 for a 1/4 ml vial. This entry was posted in Amouage, Fragrances, Orientals, Oud Fragrances, Perfume Review and tagged Al Mas attar, Amouage, Amouage Al Mas Attar, Amouage Asrar Attar, Amouage Attar, Amouage perfume review, Amouage Tribute, Asrar Attar, Asrer attar, perfume review by Kafkaesque. Bookmark the permalink. I love saffron. If I can find these I will definitely sample them. I want you to review Bahja. It sounds potentially good. oh man. I just placed a Surrender order. It will have to wait until next order. I’m guessing by compare to Tribute you mean in quality because the fragrance is on the other end of the spectrum to my nose. As for having just placed a StC order, if it done was right now, today, you can place a 2nd order with a note asking to combine the orders. When I’ve done it in the past, I toss in the prior order #, and they then refund me the shipping cost for the 2nd one. 🙂 I also send them an email just to confirm. Don’t know if that helps to enable you further…. *grin* Regardless of when you order, just feel assured that neither attar costs anything close to Tribute! LOL. I love saffron as a note – am just mad about it, even 😉 – had a cat named Saffron, indeed. Obviously I approach all attars with a certain degree of circumspection, but I like the sound of a ‘delicious saffron dessert’, and Al Mas seems the more approachable of the two! Ooh yes, very much so. In fact I seem to be ineluctably drawn to perfumes containing saffron without even knowing they officially include it. It is not a smell I can readily describe though. Al Mas sounds delish, the more you describe it! I like my oud to be pretty gauzy ideally, so that might all work out in fact. Asrar sounds a bit more interesting to me, but they both sound nice. For an attar though – both of them seem to have somewhat short lifespans. I mean, I guess 8 hours isn’t nothing, but given the concentration and somewhat hefty price (maybe not in comparison to Tribute, but still…) I’d want at least a solid 12 hours, I think. I know your skin consumes, but I think we tend to have similar experiences in that regard (though as you know, my problem is more with sillage but when sillage is so low I can barely smell it myself it may as well be a longevity issue). Thanks for introducing me to these Amouage Attars. I’d only ever heard a bit about them, so it was nice to learn a bit more about them in-depth. 8 Hours is pretty good for a totally natural fragrance but I’ll admit that it is not quite what I was expecting. Of course, I only put on some drops, and it’s hard to get the equivalent effect of a perfume spray since aerosolization really does increase longevity as well. Still, I must say, I don’t think either one of these is for you given how you are very iffy with oud to begin with. I can see you being much more intrigued by Tribute, though. Though not one for gourmands (of the scented variety, in life they are some of my favourite people), the merest hint of saffron has The Dandy turning week at the knees, and as I’m yet to be turned off oud merely as the trend has passed (it’s a note, it can be done beautifully or badly, synthetically or sensationally, surely) I’m very, very keen to try these. Though I suspect ‘Tribute’ would be the one, perhaps I should try these first, before breaking my heart! Oh yes The Dandy is very much the Beau about town so Amouage’s boutique i mere cycle ride away. I shall wait a little while before making the journey to my certain melancholy though (those prices, si cher! ), sadness is so much more autumnal a mood. At least your bank account is safer since you don’t like these as much as Tribute 🙂 I really, really love how you pick up on so many of the nuances of these scents! It makes me want to put them on again and see what I am missing. To me, Asrar is Tribute light but, I have never actually compared them side by side. I get a similar smokiness to them both. Al Mas is my “everyday” attar. I don’t mean it is light because it certainly still has the typical oil heft to it but, compared to something like Tribute I find that I can layer it and wear it alone a lot more often than some of the other Attars. An Amouage sales associate recommended it with Memoir Woman or Interlude Woman and I completely agree. And as for longevity, I get hints of the frankincense for hours and hours. I usually put a dab of these behind my ears and on my wrists for best sniffing. And remember, traditionally, these would be applied on fabric (the Arabic way of wearing scent) which I would think, would give these a completely different story line. I think it is really interesting that the Amouage attars are much better sellers here in the Middle East than the regular scents which, is why there are so many of them available. Great find on the Dubaishop link – the prices are only a slight markup over retail price. Interesting, especially how our various skin chemistries impact things. On me, it was Al Mas which started off as Tribute Light, before that smokiness faded, not Asrar. Do you get any orange blossoms in Asrar? I really wanted to smell it, but it was virtually non-existant on my skin. Me. Want. Me. Want. Me. Want! I told a friend that I was going to fly to Dubai and pick up dirt cheap Amouage. And she said A) What is Amouage? and B) How much is dirt cheap? After hearing my reply, she looked at me like I was bonkers. Just a heads up – the Amouage attars are no longer available at the London boutique (on Lowndes street) or at Harrods (not even in the Roja Dove Haute Parfumerie.) Trust me – I was quite disappointed when I visited this past year. I know, thank you. At the time of this post the status of the attars was still unclear and the talk of discontinuation in the West was only rumour. I’ll update the details section when I have time. Thank you for the reminder.